Well, gee whiz, isn’t that kind of them! Microsoft’s reassurances probably won’t stop folks from speculating that there may be other reasons for the game’s generous price tag. Of course, the first State of Decay cost $20, so maybe the pricing isn’t that surprising. Then again, State of Decay was also a smaller-scale experience than the upcoming sequel. Microsoft will also be offering a State of Decay 2 Ultimate Edition for $50. 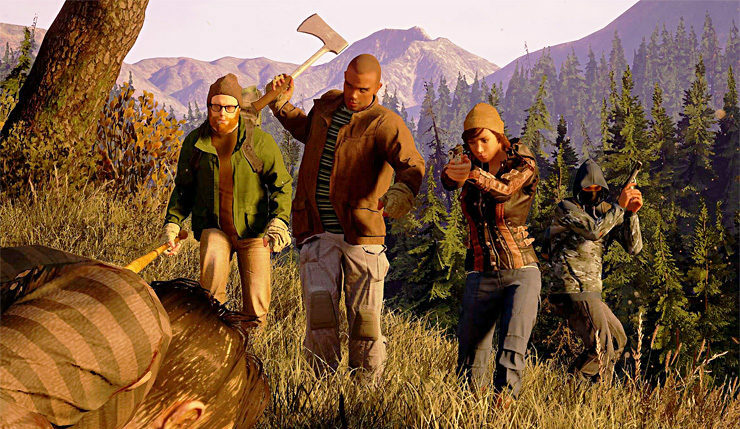 The package includes State of Decay 2, the upcoming Independence and Daybreak DLC packs, and a copy of the original State of the Decay. Of course, you’ll also be able to download the game for a mere $10 by signing up for Xbox Game Pass, which includes all Microsoft Studios-published titles from day one going forward. So yeah, those looking to pick up State of Decay 2 will certainly have some options, all of which offer a pretty good deal. For those who haven’t been keeping up, State of Decay 2 is the sequel to the 2013 Xbox Live Arcade survival game by Undead Labs. The game expands the original concept, adding 4-player co-op and more detailed base-building to the mix. State of Decay 2 shambles onto PC and Xbox One on May 22.